The war in Yemen is now the world’s worst humanitarian crisis, with more than 22 million people – three-quarters of the population – in desperate need of aid and protection. As the conflict enters its fourth year, millions are without access to clean drinking water and the country is at high risk of a cholera epidemic. 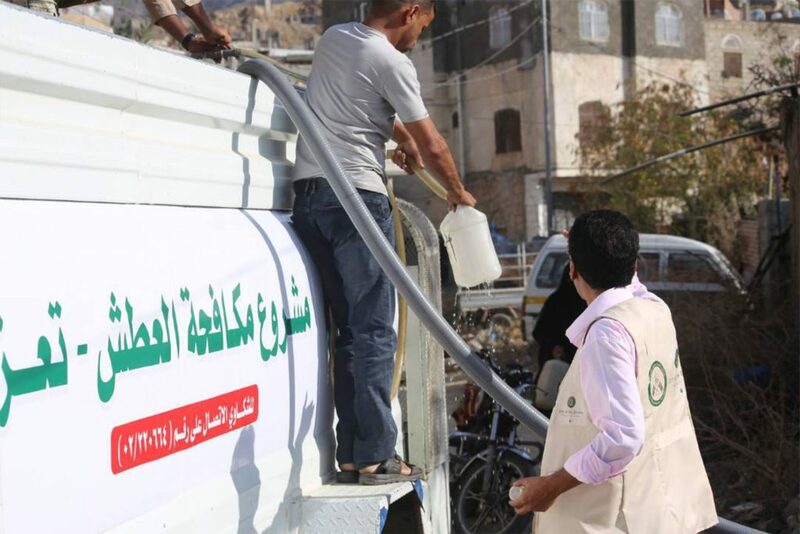 In partnership with a South African NGO, Gift of the Givers, as of April 2018 the Jamiatul Ulama South Africa funded the purchase of two water tankers in the cities of Taiz and Sanaa respectively which supplies approximately 60,000 litres of clean drinking water daily to needy residents in these cities. The water is sourced from nearby wells and has been tested for its good quality and suitability. The Jamiatul Ulama South Africa has committed to funding this project for a period of one year. Download the Masterpass™ App from the Apple or Android App Store. Add your bank card details. Scan the Jamiatul Ulama South Africa QR Code alongside. Kindly email Proof of Payment to finance@jamiatsa.org for an official receipt. Section 18A Certificate is available on request. Lillah Funds greatly assist in facilitating the appropriate disbursement of your Zakaah Funds.